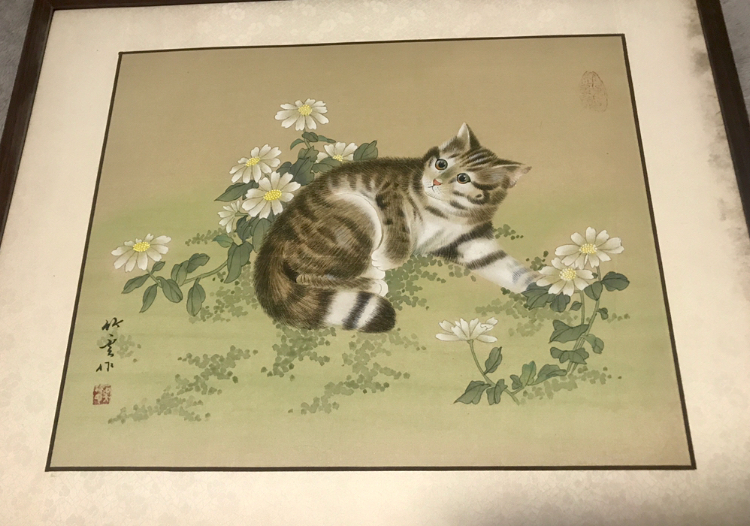 Chinese ar Japanese cat painting? Hello, could please tell me about this old painting, I got it from grandma she liked cats a lot ! Thank you !